Finally found this record in my local shop, and it thumps! The www.xpander.nl Mix is a really groovy track... nice sweeps, groovy percussion, and a hi-energy build. However, the Funk Function remix is the winner for me; big kick and throbbing bass with a nice percussion loop - awesome production from Mr. Lucien Foort. If you like your progressive house on the tribal side, pick this one up... you won't be disappointed! I don't know if I would call this 'typical Bedrock' material. In fact I don't know if I could really put this record up against another record anywhere and call it similar. Of course I'm speaking about the Xpander remix. An amazing builder...just climbs and intensifys so well...it's a monster of a track. Fairly dark and fairly progressive--standard 2001 Bedrock fare, albeit with a slight tinge of tribal thrown in for good measure. It builds, builds, keeps building and then lets loose with a devastating sequence of echoing synths; prime material to peak a set with. 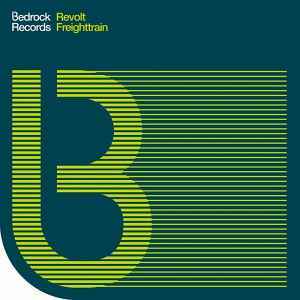 It's been getting a lot of play since it was included on the Bedrock Foundations - Granite CD release; this is one bandwagon/freighttrein worthwhile getting on.